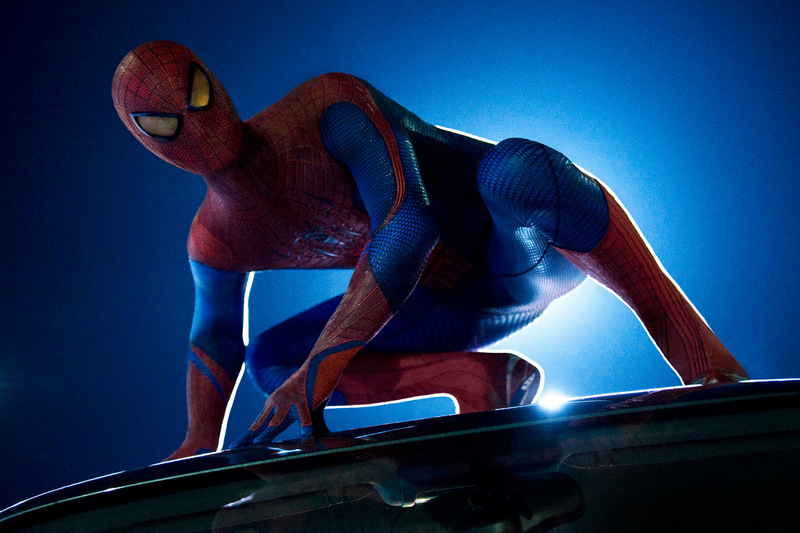 Spider-Man has one of the most recognizable and iconic superhero uniforms in comic books. Yet, bored artists have seemed fit to tinker with the design and this tendency has spread to the costume department of the Spider-Man films. It seems as if they need to impart their own take on his duds and no matter how hard they try it’s hard to get away from the timeless red-and-blue suit with the bug-shaped lenses and webbing motif. Here is how they rank up and what is interesting to note is that there isn’t a stinker in the wardrobe. It all boils down to personal taste in fashion! 7. 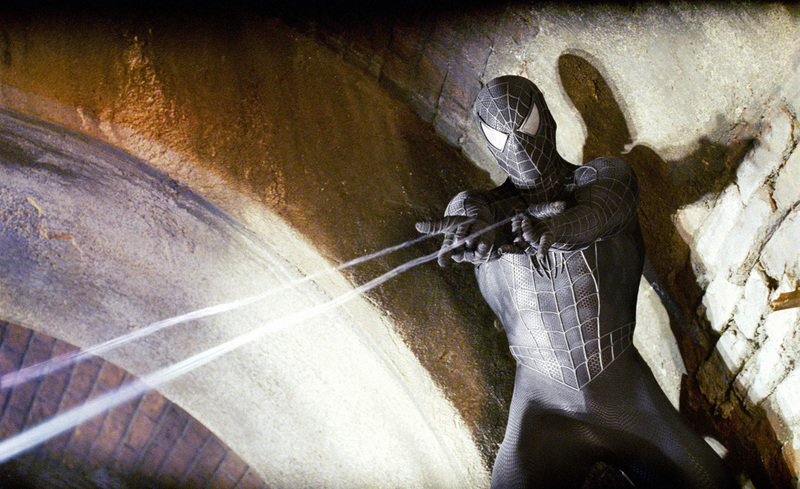 The Black Suit (Spider-Man 3): This Spider-Man costume symbolized how Spider-Man 3 went so wrong. The black-and-white suit worn by Spidey in the comic books is almost as popular as the original and created a sensation when it premiered in the ‘80s. What made it so unique was its simplistic and striking design. All the costumers had to do was copy that look, instead they took the lazy way out by painting the regular suit black. So boring! 6. 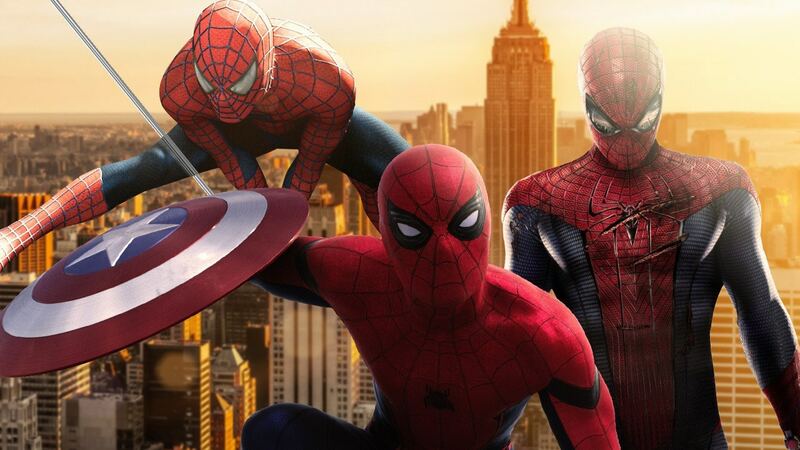 The Amazing Spider-Man (The Amazing Spider-Man): This is not a bad Spider-Man costume per se, it’s just that the others before and since have been better. 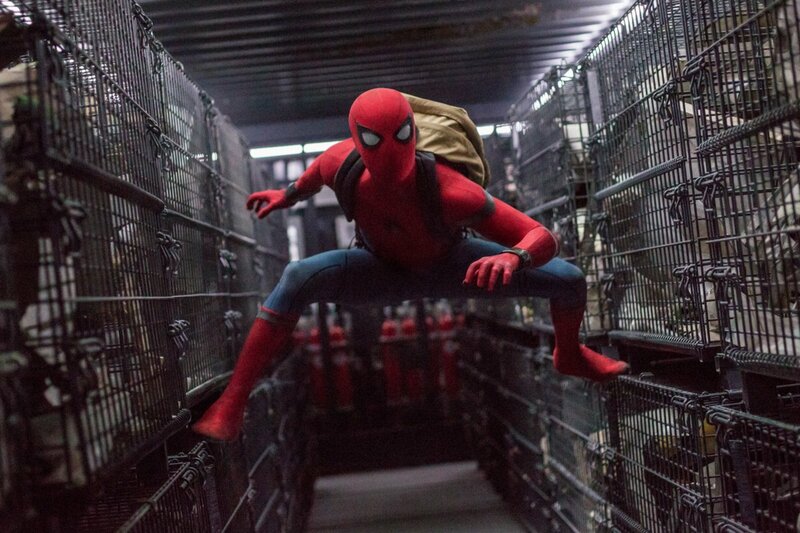 Known for its yellow and narrower lenses, elongated spider symbol on the chest and back, and spandex material, this Spider-Man costume complemented actor Andrew Garfield’s lean build. Its spandex origin made the suit seem more like a sports uniform. 5. The Homemade Suits (Spider-Man, The Amazing Spider-Man, and Spider-Man: Homecoming): Before donning the official Spider-Man costume and becoming a full-fledged superhero, Peter Parker dipped his toes into the vigilante/wrestler field with these quickly put-together rags that were amateurish. The funny thing is that these homemade suits are rather well done, concealed his identity and were functional. It’s hard to decide which is the best, so they’re all lumped here. 4. Spider-Man Mark II/Iron Spider Suit (Spider-Man: Homecoming): Briefly seen at the end of the film, this would have been an upgrade of the first suit given to Peter by Tony Stark. Inspired by the newer Spider-Man costumes in the comic books, the uniform looks more like a suit of armor. Too bad Parker did not try it out but there’s a nagging feeling we haven’t seen the last of it. Don’t be surprised if he winds up wearing it in next year’s Avengers: Infinity War. 3. Spider-Man (Spider-Man, Spider-Man 2, Spider-Man 3): This was the very first Spider-Man outfit for the films and it had to make its mark on the big screen, while being faithful to the comic books. Most fans breathed a sigh of relief when actor Tobey Maguire first donned the suit because its look captured the essence of Spidey. The costume only differs from the classic uniform with its raised and silverish webbing pattern and the longer spider symbol. 2. Spider-Man Mark I (Spider-Man: Homecoming, Captain America: Civil War): This high-tech uniform shocked and delighted fans when Spider-Man made his MCU debut in Captain America: Civil War. It keeps the basic red-and-blue design, but with smaller spider symbols and looks more stylish. In Spider-Man: Homecoming, we learned that the suit was jammed with many technical goodies like spider drones that made it seem more like a scaled-down Iron Man suit. It’s a great suit, but it does not fit with Spidey’s down-to-earth roots. 1. 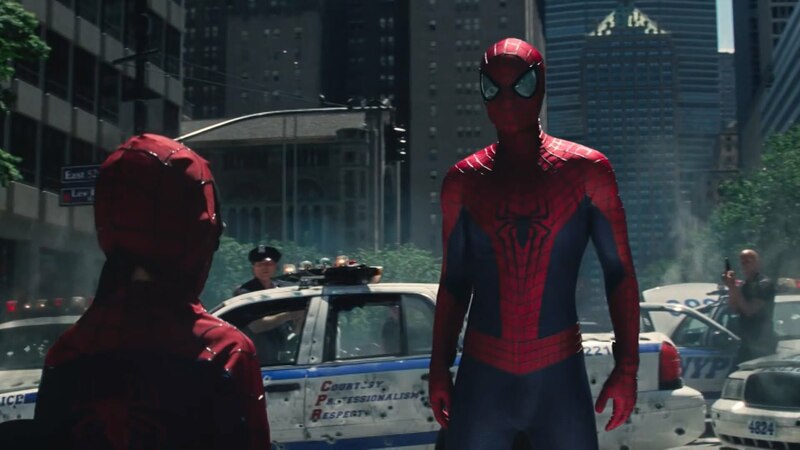 The Amazing Spider-Man, Version 2 (The Amazing Spider-Man 2): As flawed as that film was, one thing that the filmmakers got right was the look of Spider-Man’s uniform. 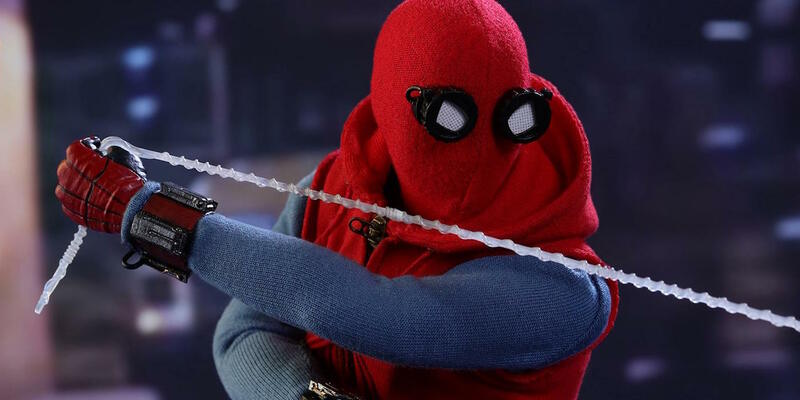 It was a nearly perfect replica of the costume from the comic books with a nod to Todd MacFarlane’s Spider-Man thanks to its larger lenses. Not only was it faithful to the classic Spider-Man costume, but it looked sensational on the big screen. Too bad, we probably won’t see it again. 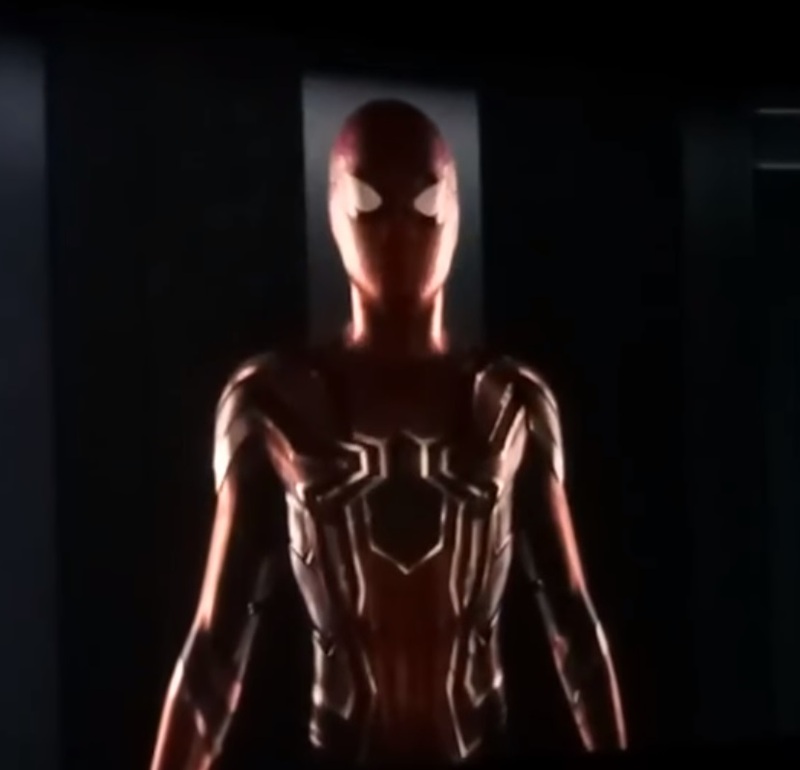 Well, it’s not technically the gold and red one seen in the comics and we don’t know what it does exactly, but the current Spider-Suit is a lot like the Iron Spider suit with its bells and whistles. Nice rankings. Gotta put the Iron Spider Suit last myself. I’ll never get over that the best suit is from on of the worst films. That suit was one of the few gems in The Amazing Spider-Man 2, they got that look so right based on the complaints about the last suit. It would not be a surprise if they keep coming up with new suits in future films. It will be hard to top the classic ones though. Great list, my personal favourite is the classic Raimi costume but the ASM2 version is pretty close (extra points for mechanical web-shooters). The mechanical web shooters is one of the reasons why the ASM2 suit was better, since the feature is more true to how Spider-Man should be. It just makes us wonder why Stan Lee and Steve Ditko didn’t have the character shoot organic webs in the first place.